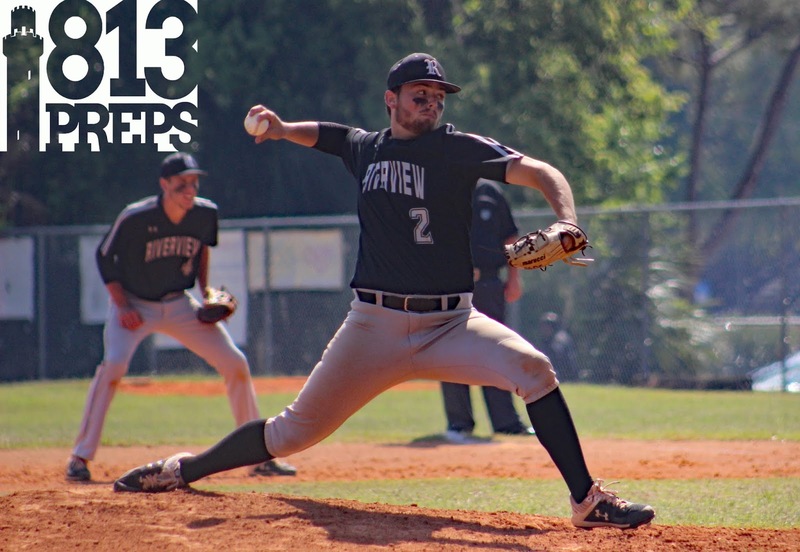 DOVER – Riverview right-hander Brendan Herrick pitched a two-hit gem and drove in the deciding run in a 2-0 victory at Strawberry Crest on Tuesday night. Herrick allowed only a double by Jacob Heath in the first inning and a Ben Pues single in the seventh, but he faced a bigger threat in the second. The senior hit leadoff batter Joey Parrillo, who advanced two bases on a wild pitch and a throwing error. 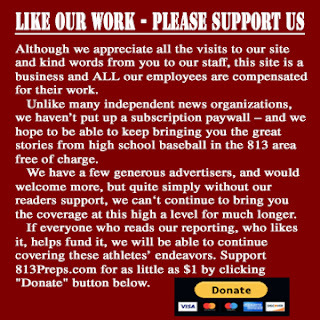 Parrillo was tagged up at third with none out when right fielder Ben Migliarese caught up with a fly ball deep in foul territory, but he couldn’t close his glove on it. Or he simply decided against it. Herrick eventually walked designated hitter Alex Marshall, who drew a couple of throws to first baseman Matt Masse. 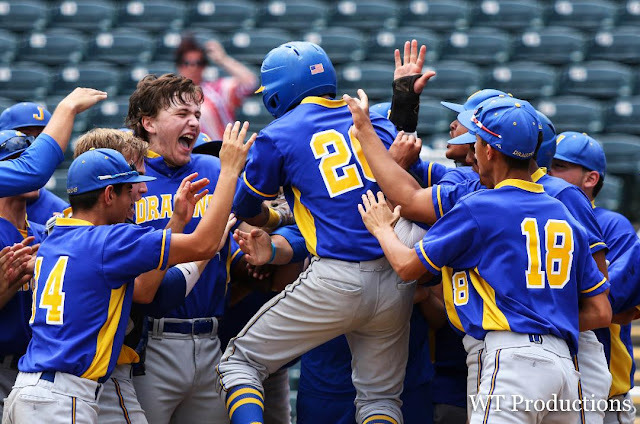 On the second, Parrillo broke for home – as the defense had suspected – and was cut down at the plate. Chargers starting pitcher Eli Garner worked three perfect innings before the Sharks got on the scoreboard. MacAllister Jorgensen led off with a single and reached third on a one-out single by Dillon Besnier. Herrick followed with a sacrifice fly to open the scoring. The Sharks added an insurance run in the sixth, when Migliarese singled and came all the way around on an outfield error. Riverview improved to 12-6 with its fourth win in five games. Strawberry Crest slipped to 10-8.